This flat elbow is the ideal solution for making a right angle turn on the same surface and connecting two pieces of raceway. The flat elbow attaches to the end of two pieces of raceway and allows cabling to make a right angle turn. 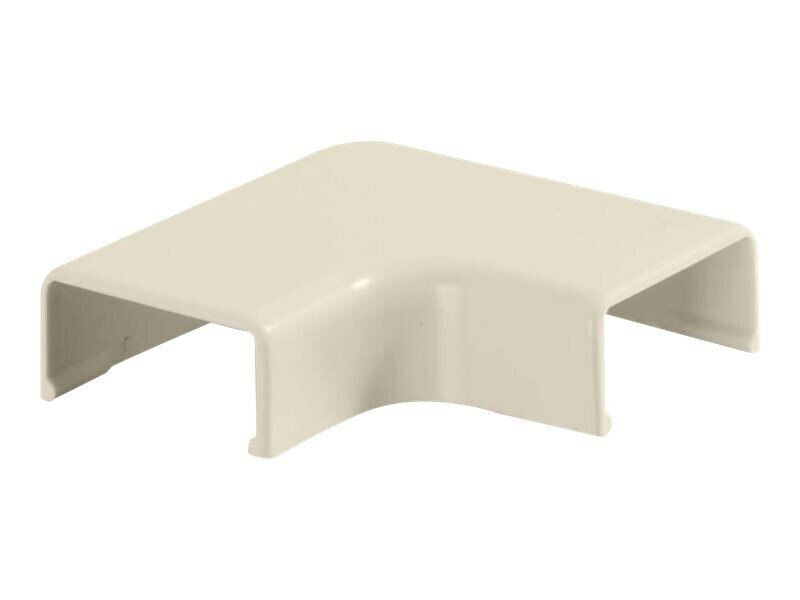 Available in standard colors which match the raceway, this flat elbow features a smooth plastic finish, which is paintable with latex paint, and is designed to work with 2700 series raceway. Standard color to match 2700 series raceway.